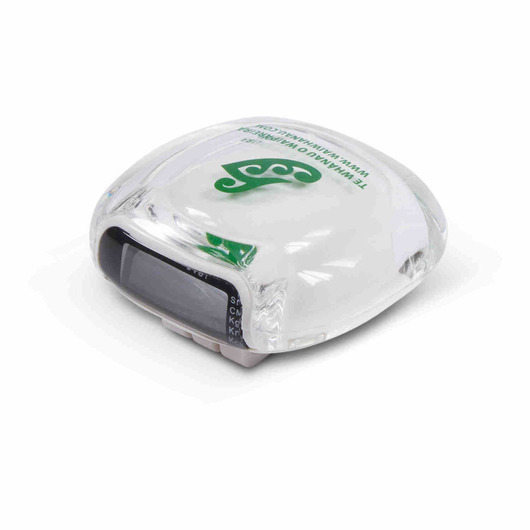 A clear/white multi-function pedometer that comes with it's own belt clip. Get active with some of these smart multi function pedometers today. They have a handy belt clip and can record the number of steps taken, total distance travelled and calories burnt. A great tool to help you achieve your fitness goals.